It’s never easy to make the most of your hallway. A hallway tends to be a small, narrow space that won’t always accommodate standard shop bought furniture. Even if it does, there’s a distinct possibility you won’t be using the space to its full potential. We make furniture specifically for your hallway – nobody else’s. 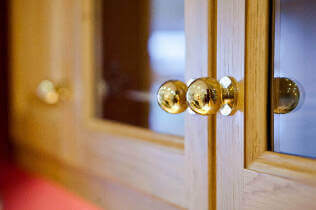 We design and make everything to the required size in our very own Kent-based workshop. 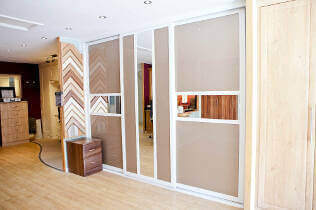 This will help you make the most of the space you have available and begin getting some real use out of your hallway. 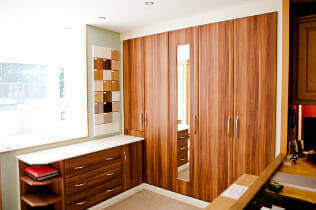 Hallways are an excellent part of the home to utilise for storage, but it isn’t always easy to find the right storage. 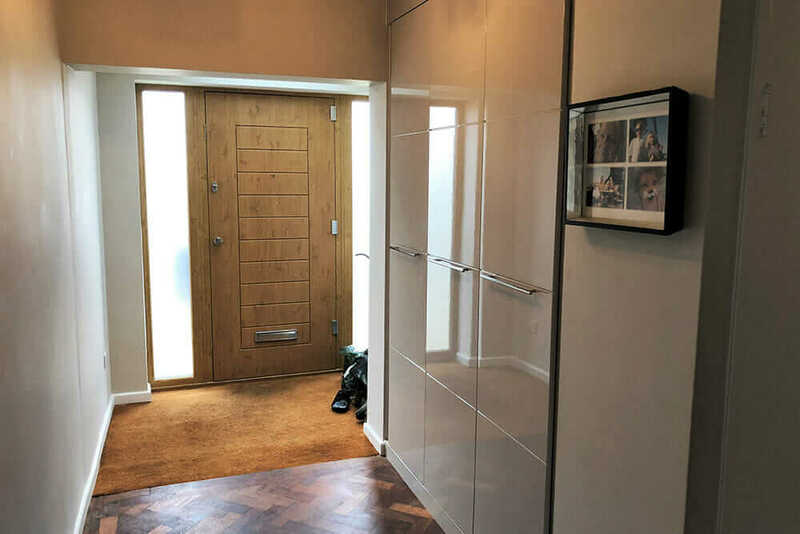 We help homeowners solve this problem by designing hallway furniture especially for them – all our furniture is fully fitted to make sure it uses the space to its full potential. Whenever we take on a project, we manage it fully from beginning to end. This means we are accountable for the quality of our work, and we will keep you well informed about the progress of your furniture. It will fit your space exactly. Hallways are awkward spaces to furnish, so do things the other way around – make the furniture to fit the space, rather than rearranging your home. You can make the most of clever storage options. 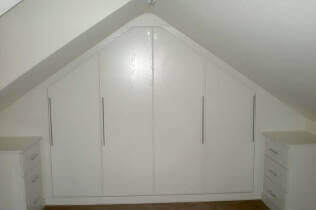 We design storage solutions that will fit perfectly into your hallway and free up more of your space. 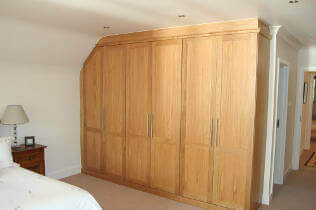 Our furniture is fully fitted and fixed into place, so it will be strong, sturdy and stable in your hallway. Nobody’s home will look quite like yours. Remember, your hallway is the entrance to your home. This is your opportunity to make yours completely unique. You will be kept fully informed throughout the process, so you will always know exactly how your hallway furniture is coming along. 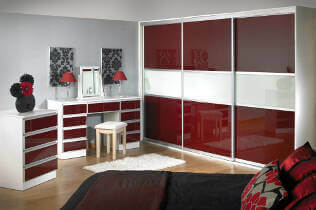 Our ranges can be completely customised to suit your particular hallway. Browse through to find a look you like, from the traditional to the contemporary. 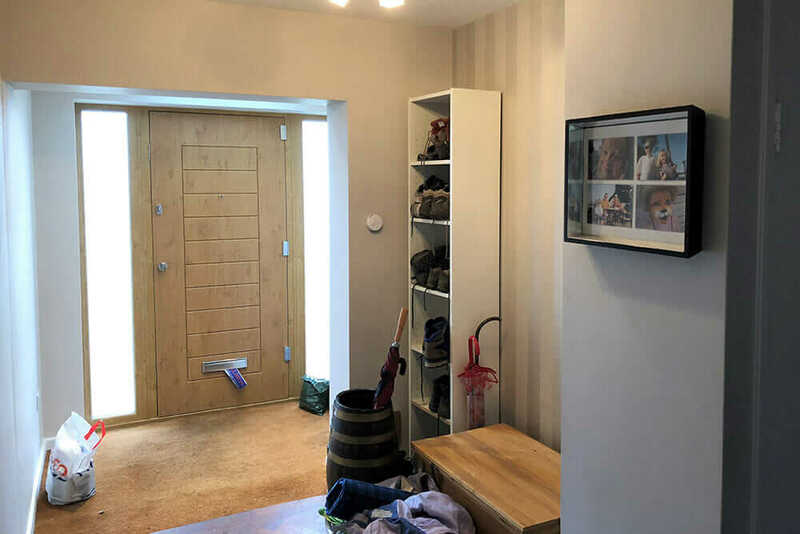 See how we can transform your hallway. Arrange your free, no obligation design appointment.